Nick Cave is blanketed head to toe in thick, hot pink raffia garb. He moves his body in sweeping gestures. It’s all in a day’s work for this Chicago artist. 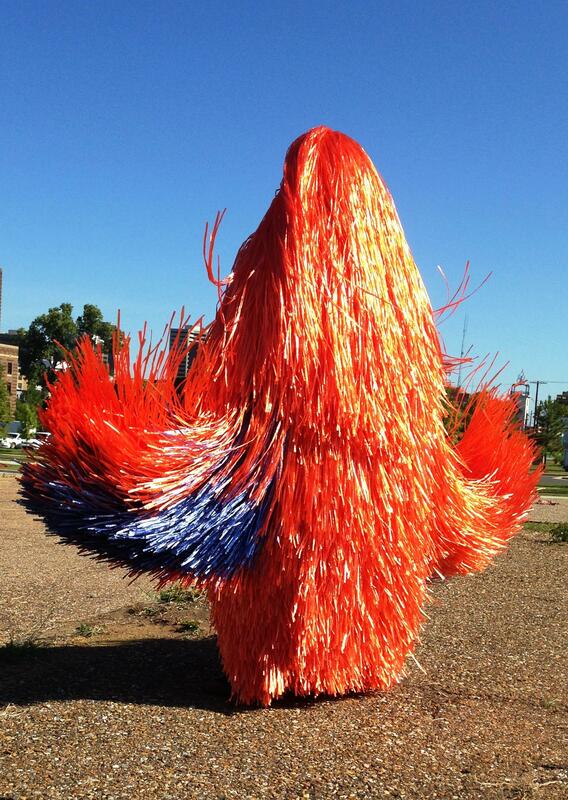 This Nick Cave raffia Soundsuit was in motion Thursday in Shreveport Common near Municipal Auditorium. Over the past couple decades, Cave has made more than 500 of these over-the-top, costume-like sculptures that blend movement and noise he calls Soundsuits. He’s in and out of Shreveport for an eight-month residency through the Shreveport Regional Arts Council. Cave is working with local artists and residents in social service programs to create works that will culminate March 20 in a one-hour program at Municipal Auditorium. During an interview at Artspace Thursday, Cave said his goal is to bring together hundreds of local artists and makers to create a humanities project that knits people together and forms new bonds among neighborhoods. “I could come here with a performance truck, load and set up, do the performance and pack up and leave. But it’s really about leaving an imprint in the community, and introducing the community back to itself,” Cave said. Cave is holding bead-a-thons in neighborhoods. 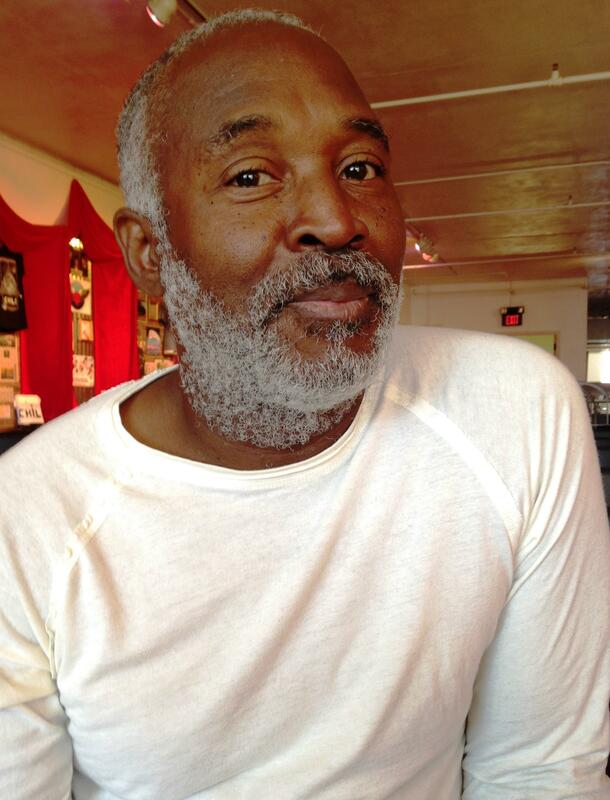 During his time in Shreveport, he’ll work alongside artists, choreographers, dancers, musicians, poets and moviemakers. He’ll help residents in social service programs weave elaborately beaded blankets that symbolize their stories. He says this project brings him closer to how he wants to be useful in life. Artist Nick Cave is working with community groups in Shreveport to compose a program titled "As Is" on March 20. “In every city there are makers and dreamers. There are collaborators. It doesn’t matter if it’s New York or Shreveport. It’s really about how do we pull together this amazing network of people and allow them to be a part of building an experience,” Cave said. Cave will hold his next bead-a-thons as part of the Texas Avenue Makers Fair in Shreveport Common on Nov. 14.